activities including the Tour of Homes and the sale of cookbooks and other items. from January 1 until 5:00 p.m. on March 31 each year. It is with tremendous excitement that the Christ Church ECW announces a very generous gift of $85,000 to nearly 40 local and regional charities! All who applied for grants were accepted! 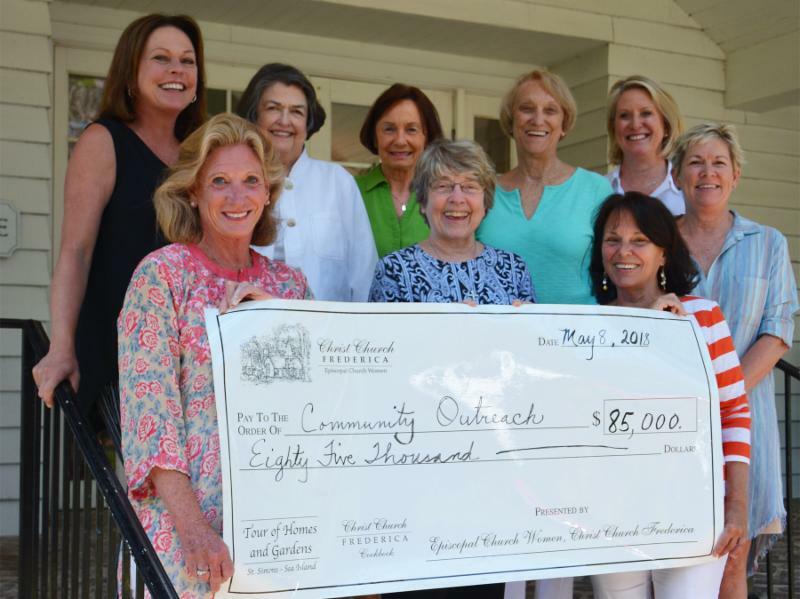 These gifts come from the combined proceeds of the 65th annual Tour of Homes this past March, as well as the year-long sales of the Christ Church cookbook. Many, many thanks to our Christ Church family and the many dedicated community volunteers who helped us with both projects this year. Lives will be touched thanks to your time and efforts! Grace House of Brunswick; Inc.
Memory Matters (formerly Alzheimer's of ..
Social Opportunities & Active Recreation.. Included above are the recipients of Tour Homeowners� designated gifts.